For a long time I avoided having official “rules” for Weekend Herb Blogging, in keeping with the whimsical way the event began. 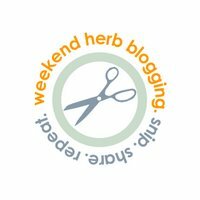 However, now the event is quite popular, and since other people are sharing in the hosting duties, I’ve decided to establish rules to keep Weekend Herb Blogging unique among food blog events. 2. Entries can be recipes and/or informative posts featuring any herb, plant, vegetable, or flower. When possible, bloggers are encouraged to add details from other sources so others can learn about the featured plant or ingredient. 5. (added 7-30-07) To make it manageable for the hosts, each participant is limited to one entry per week. 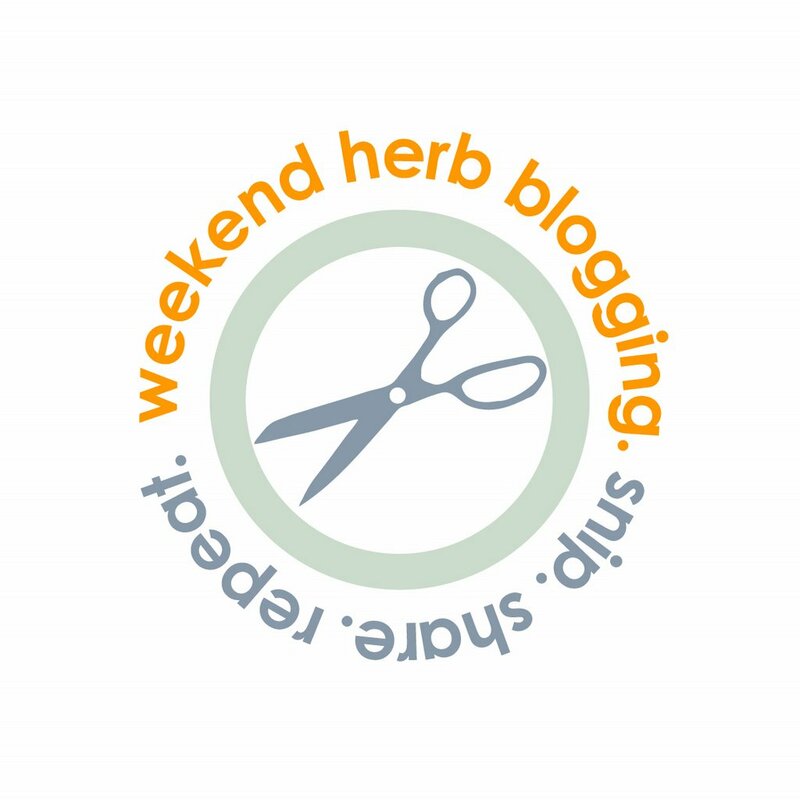 NEW, starting October 2006, you can check Who’s Hosting Weekend Herb Blogging to see who the host will be a month in advance. Thanks to all the great herb bloggers around the world for your continued support of the event. I’m looking forward to learning more and more about new plants from many of you for a long time to come. It actually takes about 7-10 days for the leaves to fall off. I put the leaves in a glass jar and store in the freezer, then take out a few whenever you need that herb. Works very well for me with rosemary, thyme, tarragon, mint, and sage, although on some herbs the leaves fall off more readily than others. You can enter “freezing herbs” into my search bar if you want to find those posts. I Kalyn – I was reading another site of yours that was talking about freezing herbs. It indicated that after freezing for a few days the leaves fall off and then they were transfered to jars. Did you just store the jars in the frig and use as needed? Or, are the contents put back in the freezer? WHB is open to any food blogger, and communicating with the host for that week is fine, no need to let me know separately. Welcome all. I blog about food sometimes, but not all the time, can I join in? I have already entered for this week though, so please excuse that, have let the host know. This is one event I have been dying to participate in for months. I think I’ll give it a try this time and see how it goes. How about curry leaves? Andaliman, it’s an ongoing event. You can find out who’s hosting here. Any herb, plant, veggie, or flower is acceptable so citrus is definitely a plant. Deadline is 3:00 P.M. on Sunday each week, MST. Kalyn, I just noticed about this event two days ago. Too late, eh? What about one kind of citrus’? Kalyn, I’m not sure if I am your regular visitor and yours mine but I’d love to participate in WHB. I just knew about this event and I thought it might be exclusive like Daring Bakers, so I don’t dare to write. But it seems that anyone can enter. Count me in, please! Tuischa, there are a couple of participants who do posts in two languages or with a feature that translates it into English. Without that I don’t think most of the hosts would even be able to write about it. So I’d say the original post could be in any language as long as there was a way to click and get an English translation. Kalyn, I’m not sure how I enter but I’m the Kalofagas guy and my email is ikanim1@hotmail.com…I’d love to join the group! Hi Peter, Lemon Verbena would be great. Look forward to seeing your entries. Hi Kayln, new blogger here and I’ve already started using my fresh new herbs in my garden. Has anyone touched upon Lemon Verbena? I’d love to participate! hi kalyn. i have been trying to send you my entry for the weekend herb blogging for a few time and it always fails. it saids something about… undefined mail account status. any other e-mail adress i could send it to? will try again … tx! KM, there has never been a rule that they have to be about herbs!! Anything that comes from a plant is fine, and if memory serves me correctly, I think we once had a person write about vanilla beans. So, yes, vanilla is great!! Phew, I was almost too scared to read the rules in case there was a no picture no entry rule, that would have been the end of me. Thanks for the guidelines! It’s good to have them. Gabriella, I am glad you agree. Meeta, thanks. I don’t mean that every time you have to have information about the herb, just that it’s nice when people do that so we can all learn more. The rules are great, espcially the one about being descriptive about the particular herb/vegie etc. Being new to WHBing (have taken part onl a few times) I was not too sure how exclusive you wanted the posts to be and of course like the others I am also guilty of going into posts without enough background into the herb. Will do! Sounds great to me. Sher, no worries. Your entries are always great! Ilva, you are never sloppy!! But I am glad to know you agree with the rules. I think it will be helpful to have some rules posted since so many new people are participating every week. It’s not that things were bad, it’s more that I want to be sure it keeps being good. I agree too, I think we all need some rules here, I tend to be a bit sloppy about my whbing, I could do some more research for example! I’ll be a better girl in the future! Thanks Mae! I appreciate the support. Mushrooms are great!! Anything that’s a plant is fine, and personally I’d love to learn more about mushrooms. What about mushrooms. Great idea to put some constraints onto give it focus and so we can find more out about herbs . I know I need the discipline myself.